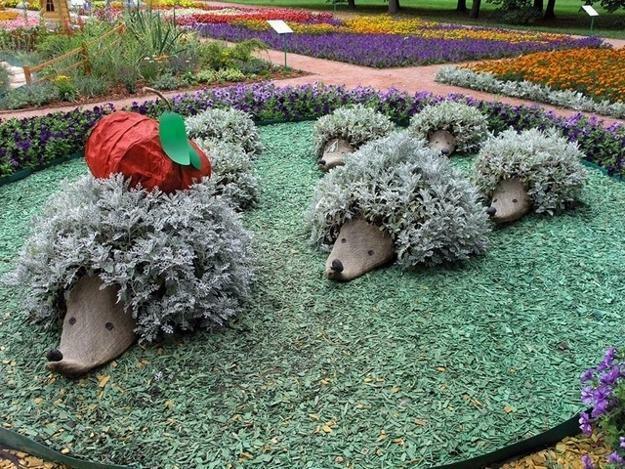 Unique garden design ideas add interest to yard landscaping. 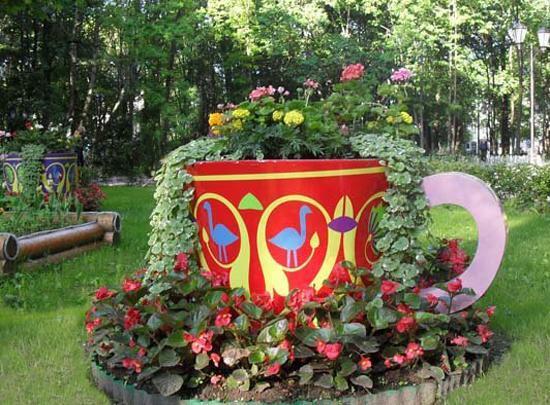 Unusual garden borders, original planters, whimsical flower beds, artworks, and garden stands beautifully accentuate garden designs and surprise viewers with unexpected details. 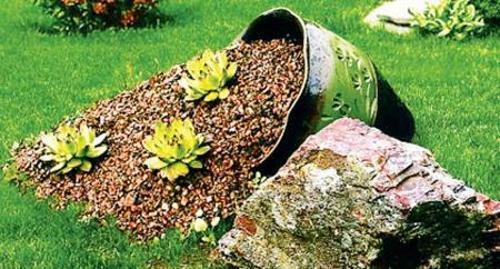 Creative blends of color and texture, and innovative recycling transform outdoor living spaces. 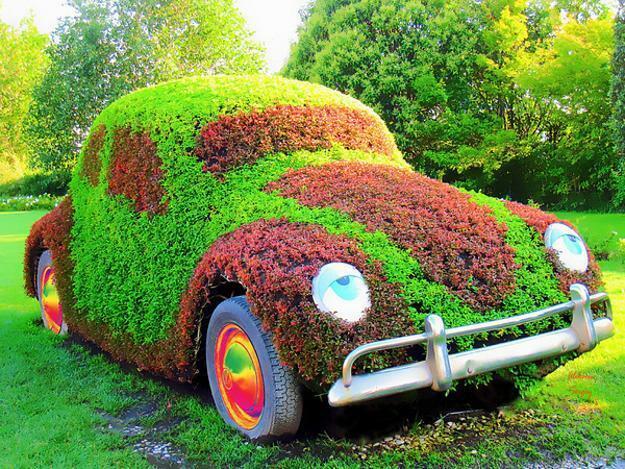 Lushome shares a great collection of lovely garden design ideas and unique accents that are inspiring. 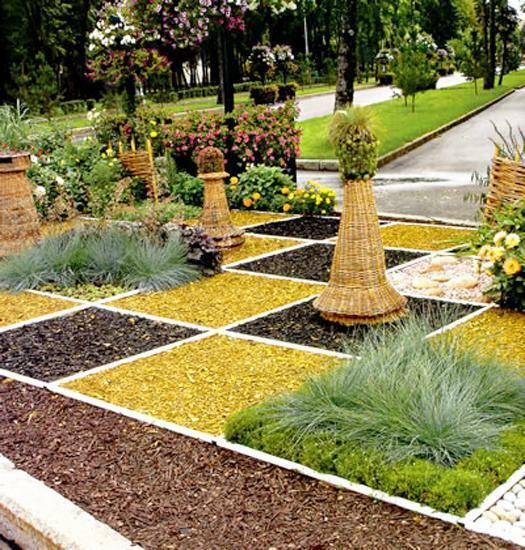 Unusual garden design ideas, combined with small decorative plants, flowers and shrubs, create fabulous backyards and dramatically change yard landscaping. 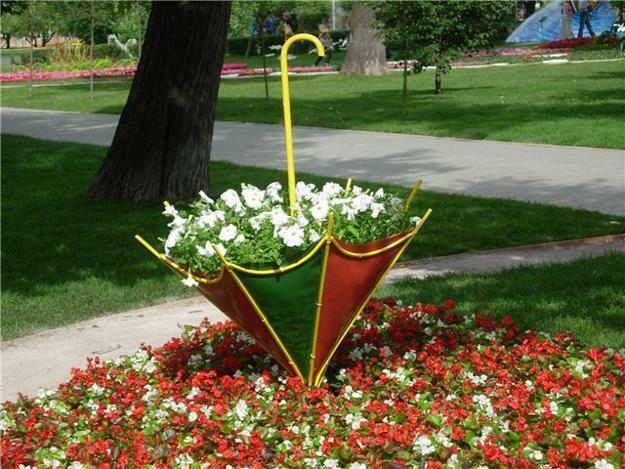 Creative flower beds and fun containers allow to experiment with fresh and modern ideas, recycle useless items and add artworks to your garden design. 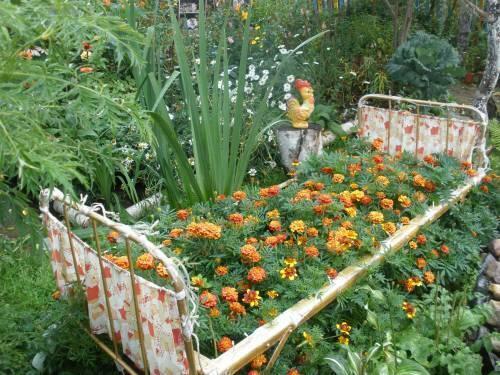 Interesting flower beds make garden design ideas truly personal and captivating. 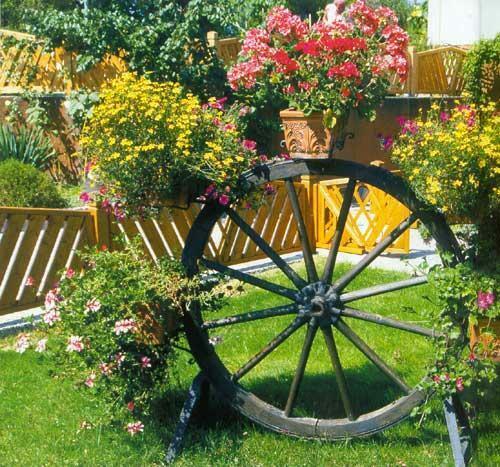 They add touches of flair to yard landscaping and offer great inspirations for improving your outdoor living spaces. 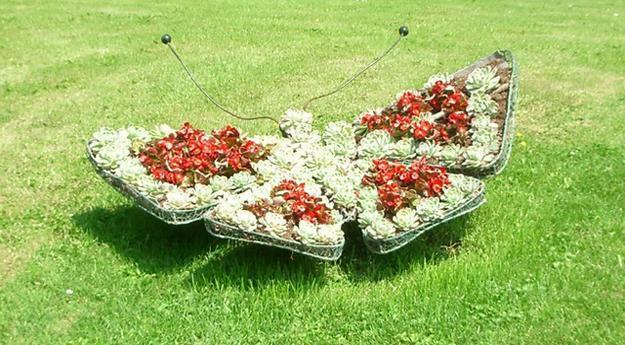 Creative, colorful and unique yard landscaping and garden design ideas can help recycle and upcycle items that clutter your home. 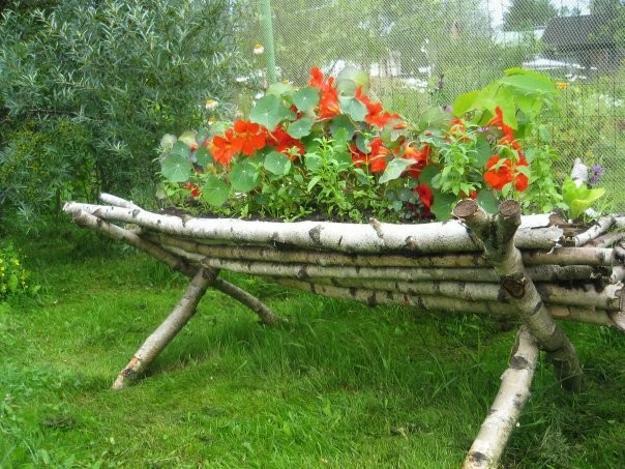 Decorative plants and flowers, shrubs and grass, moss and rocks look fabulous with all materials, – wood, metal, ceramic and glass. 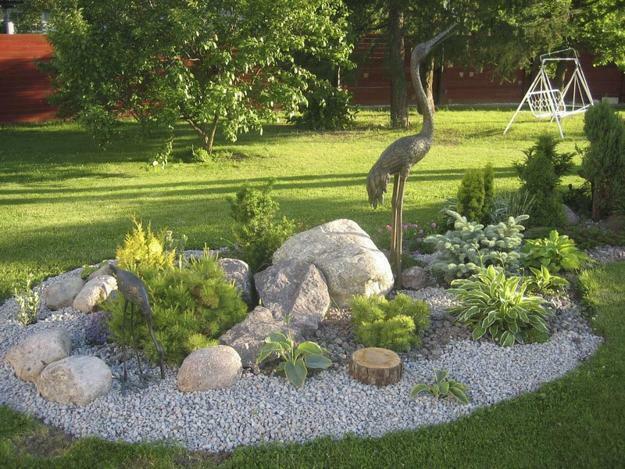 Unusual flower beds with stones, rocks, mulch and all decorative edging materials work well with green plants and colorful flowers, unusual shapes and surprising decorations, creating unique garden design themes. 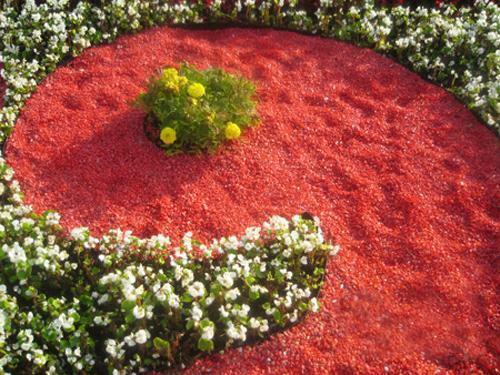 Color-rich garden design is pleasant and exciting. 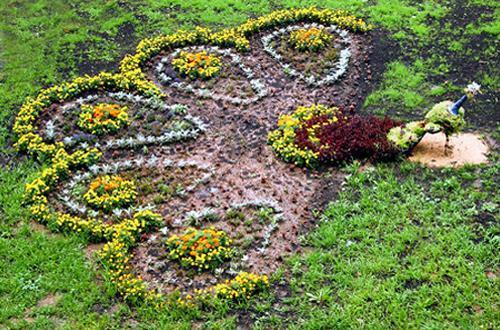 Incorporating various decoration patterns into yard landscaping and creating one-of-a-kind arrangements with grass, decorative plants and flowers personalize your garden design and add beautiful, bright and artistic splashes of color to landscaping ideas. 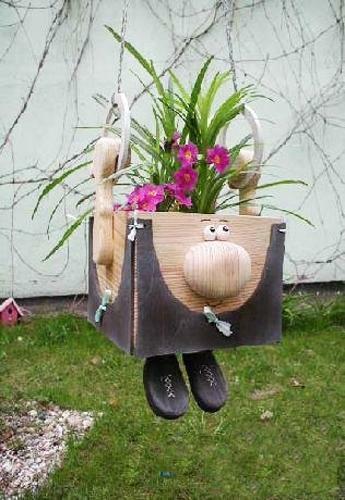 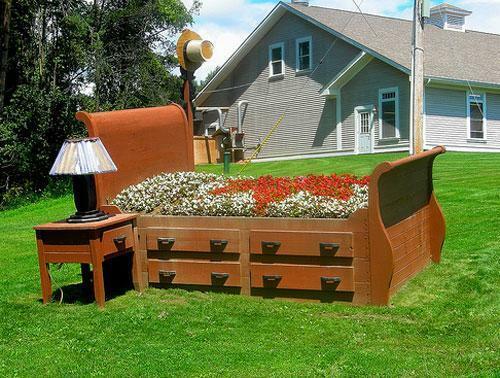 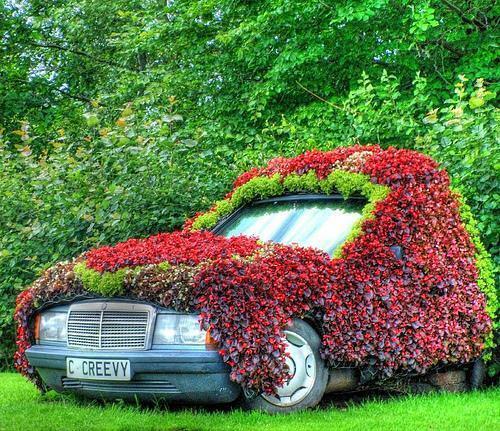 If your garden design has a theme, you can use your junk to reinforce it with creative flower beds. 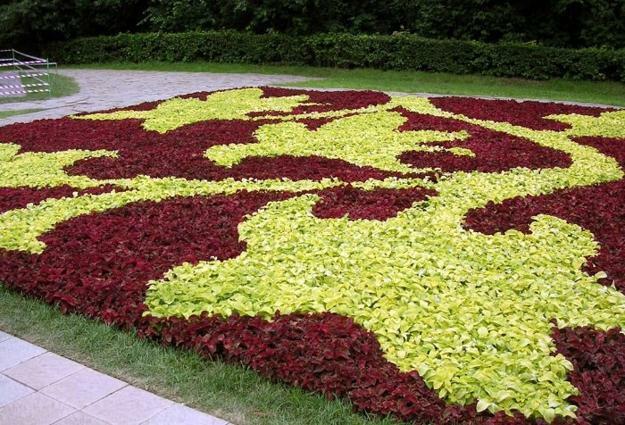 Using different textures and complementary colors allows to achieve fantastic results in yard decorating. 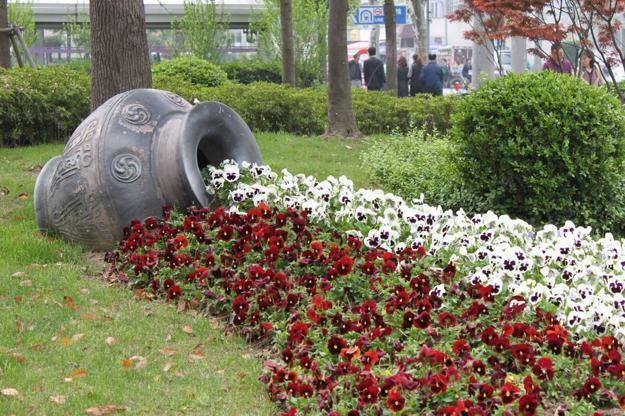 Unusual flowerpots, containers for decorative plants and flowerbeds enhance garden design and impart a sense of careful craftsmanship while bringing creativity, modern ideas and beauty into yard landscaping. 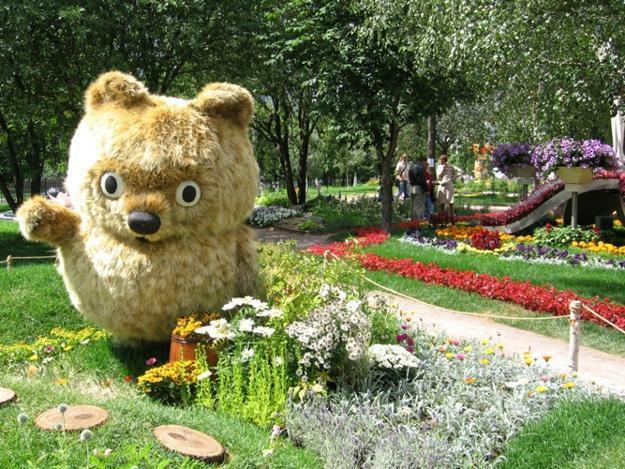 Unique garden design ideas show thoughtfulness and artistic aplomb while blending your resourcefulness, landscaping design talents with natural beauty. 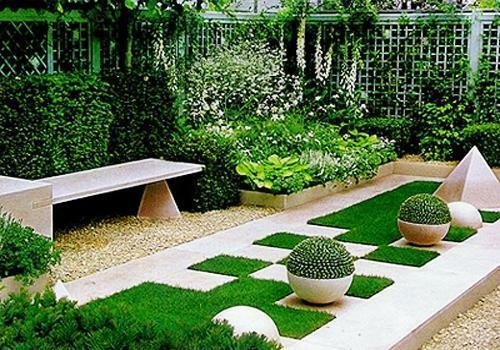 Modern yard landscaping ideas are changed reflecting latest trends in eco decorating and garden design. 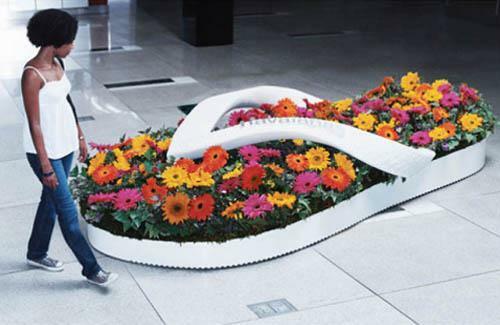 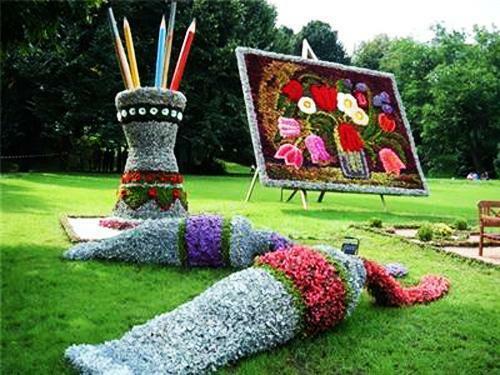 New ideas, unexpected combinations of textures, shapes and colors create amazing flower beds that make a statement. 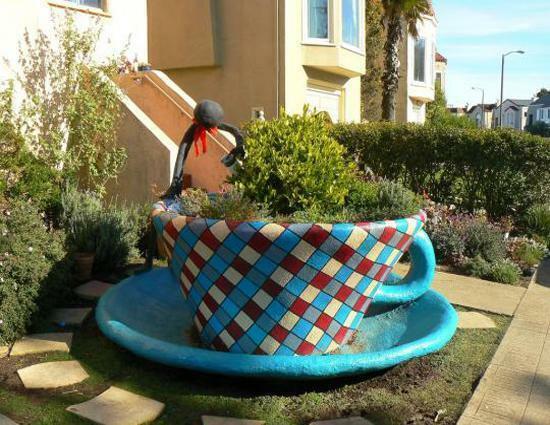 Creative yard landscaping ideas add masterpieces, unusual sculptures and installations to modern garden design, blending practical functionality, cheap solutions and interesting decorative elements with Green and recycling concepts. 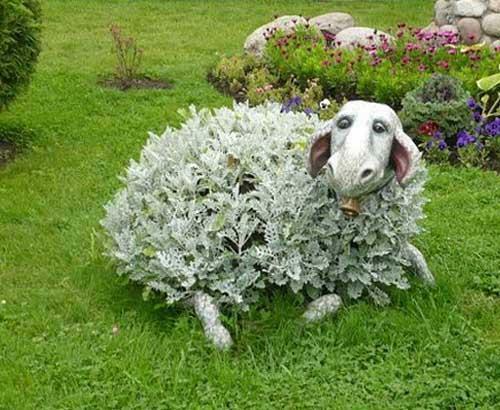 Check out the collection of interesting yard landscaping ideas and get inspired for creating unique and beautiful centerpieces for your backyard or garden design in spring and summer.